[youtube https://www.youtube.com/watch?v=3PcW1sLisCc&w=380?rel=0] Successful return to good health after Geovital radiation shielding home improvements prompts the same approach when one of our clinic clients moves to a new home in the monastery and experiences a return of past symptoms of electromagnetic sensitivity. [youtube https://www.youtube.com/watch?v=fOJKcvFzJU8&w=380?rel=0] The health of this family left much to be desired, and there was also emotional tension between the parents. 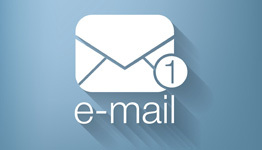 A home assessment was done due to concerns about nearby cell phone towers. Now… all is well. [youtube https://www.youtube.com/watch?v=41Rdlb2IoYY&w=380?rel=0] More people are aware that you are much better of having a home that is shielded properly. Progressive builders get GEOVITAL involved to improve their projects and cater to this new demand with quality protection that is actually meaningful. Watch how we inspect the first internally shielded apartment and coach trades people on shielding application. [youtube https://www.youtube.com/watch?v=fKp7Yao3_Dc&w=380?rel=0] Dr Rashmi Baya Cabena from Melbourne, contacted Geovital for a home assessment for low level radiation after a recent installation of a smart meter and attending a lecture on radiation exposure and health. See the results of shielding a bedroom after shielding paint T98 Alpha was put in place and special switches were installed on electrical circuits to eliminate electric field exposure from internal wiring. [youtube https://www.youtube.com/watch?v=piYdpTGHBD4&w=380?rel=0] Here we see how director Sascha Hahnen of Geovital Akademie Austria is hands on with a unique flexible approach to battle low frequency radiation in a ladies home by using Geovital’s T98 Alpha shielding paint on portable panels and Geovital GPA shielding mesh on the floor. 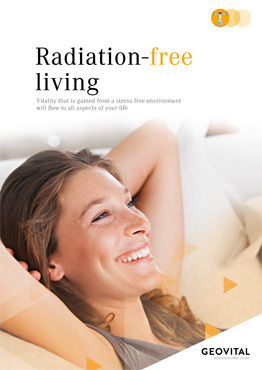 [youtube https://www.youtube.com/watch?v=PcCkMQxVc7A&w=380?rel=0] Radiation exposure (EMF) in the home and at work should be taken very seriously when trying to conceive, pregnant, experiencing miscarriage or by those with young children. This interview discusses simple tips to reduce exposure to easily avoided sources and how homes can be properly protected or built to be avoid the high levels of EMF experienced in most homes. [youtube https://www.youtube.com/watch?v=BkNoS4h-hYI&w=380?rel=0] Learn how to do EMF radiation (electronic pollution) and geopathic stress home and office assessments in our 2.5 day workshop. Become part, if you wish, of our international network of doctors, natural therapists and healthier homes enthusiasts. [youtube https://www.youtube.com/watch?v=h4ZMm5Iq1_M&w=380?rel=0] Most people doing our workshops are therapists, doctors, architects, builders but also people with no links to building or healthcare. Learning how to find and consult on radiation elimination or shielding is a fun process and we are delighted with the positive responses by those who have done our workshops. 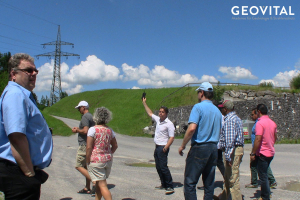 [youtube https://www.youtube.com/watch?v=Ae97ARXAm0s&w=380?rel=0] Take a factory tour through our facilities in Austria with Geovital Akademie director Sascha Hahnen during an invitation for the celebrations for Geovital’s 30th anniversary (July 2012). Hear first hand explanations of our shielding solutions, our unique natural health mattresses, the workshops and the facilities in Austria. 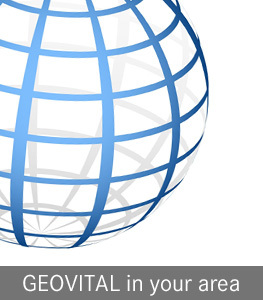 [youtube https://www.youtube.com/watch?v=6w1U7jQ0rm0&w=380?rel=0] Enjoy this comprehensive insight into Geovital, its academy and the mattress manufacturing floor as well as how our mattresses function. 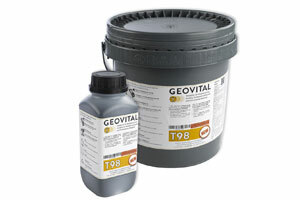 [youtube https://www.youtube.com/watch?v=CeRHtGSVyb4&w=380?rel=0] Measurements after application of Geovital T98 Alpha, the healthiest shielding / grounding paint, protection against mobile phone towers, wifi, smart meters and local electric fields and static charges. [youtube https://www.youtube.com/watch?v=IRdHFoweJ1E&w=380?rel=0] Geovital Academy explains here and demonstrates how our mobile phone radiation shielding pouch works and shows the reduction in high frequency radiation by means of testing equipment. Shielding has its limitations, this is also discussed. [youtube https://www.youtube.com/watch?v=o1kwKdHqx-Y&w=380?rel=0] See Steve painting and the results of shielding 4 bedrooms, office and theater room with Geovital T98 Alpha. The Smart Meter installation and subsequent health effects prompted Steve to get an assessment done for EMF (electronic pollution). [youtube https://www.youtube.com/watch?v=hEnvehZjVlE&w=380?rel=0] In new built homes GPA mesh can be utilitised in a variety of ways. This video is an example of one way it can be used. [youtube https://www.youtube.com/watch?v=nZab7LTWWhg&w=300?rel=0]What are the issues in this bedroom and how are we going to address it with verifiable radiation protection. [youtube https://www.youtube.com/watch?v=1oqj8GtkEuQ&w=380?rel=0] See typical exposure to electric fields in the bed from wiring in the walls, and see how circuit cut-off switches already installed eliminate this situation. [youtube https://www.youtube.com/watch?v=QKvgUpQ7A8U&w=380?rel=0] How much radiation is the body absorbing, that is the key when deciding if shielding is needed. See the values before we start. [youtube https://www.youtube.com/watch?v=QgDj3WFBzSA&w=380?rel=0] Some important details to remember when preparing the room before you start applying shielding paint T98Alpha. [youtube https://www.youtube.com/watch?v=c1-9EzwJ12Q&w=380?rel=0] Shielding a whole house is not overly difficult. This video shows the problems faced, the application of GPA mesh under roof tiles and T98Alpha over rendered walls. And the results. [youtube https://www.youtube.com/watch?v=IAFeQXKwkxc&w=380?rel=0] Often, before roller application, you would use a brush for the corners and edges. [youtube https://www.youtube.com/watch?v=YiRyRjBulJE&w=380?rel=0] How do you get your shielding paint ready to use? How do you stir it? What is the right roller to use for shielding paint?. [youtube https://www.youtube.com/watch?v=K_IcD7Al_ks&w=380?rel=0] Have a look how easy it is to work with T98Alpha. Its low VOC content makes it a pleasure to work with. [youtube https://www.youtube.com/watch?v=V0nmaEbDBkU&w=380?rel=0] Shielding paint needs to be earthed, but this is first and foremost a safety feature. Geovital sells you less accessories and recommends you to use an electrician. Find out why in this video. [youtube https://www.youtube.com/watch?v=05isskeN_XE&w=380?rel=0] See how grounding tape is applied between the two coats of shielding paint and how can be routed around the room. It is not difficult, but it is easier if you see it done by someone else first. [youtube https://www.youtube.com/watch?v=8SHA47RVcHg&w=380?rel=0] Shielding paint needs to be earthed and connection to a power point is likely the best and easiest way to do it. See how you could get it all ready for the electrician to do the last part. [youtube https://www.youtube.com/watch?v=rmHVFzyYsU&w=380?rel=0] Once the grounding tape has been put in place, the second coat of shielding paint can be applied. Important to not apply too thin. You don’t want to thin your protection. [youtube https://www.youtube.com/watch?v=E6dugyqFoQg&w=380?rel=0] The time is approaching that shielding the bedroom door may be needed. It is not difficult either, just be mindful you may need an extra primer to go over oil-based paint. 13/18 Test: Does shielding paint block natural magnetic signals? [youtube https://www.youtube.com/watch?v=Odk88ByagJs&w=380?rel=0] Quite a few people wonder if shielding paint blocks natural magnetic signals that are important every living organism. We conducted this test you show you T98Alpha doesn’t do that. [youtube https://www.youtube.com/watch?v=gEYFHsekK1E&w=380?rel=0] Once you have your two layers of shielding paint on your (bedroom) walls, its time to bring some colour back. Primer and then your favorite colour. [youtube https://www.youtube.com/watch?v=h0gK5HGcX0U&w=380?rel=0] The grounding of shielding paint is first and foremost a safety feature and GEOVITAL recommends the use of a qualified electrician to do this. Here an example of how it could be done. Can also be done differently. What else makes a healthier bedroom? [youtube https://www.youtube.com/watch?v=wAJbZkif5Xw&w=380?rel=0] Shielding paint is great for a bedroom. Provided you use one with performance that actually gives you real protection. It is not the only thing need though. Here some examples of additional inclusions. [youtube https://www.youtube.com/watch?v=UpWt8GMvfBk&w=380?rel=0] Here you see the outcome. The little project is finished and lets see what the results are. Also explained and shown that despite shielding, circuit cut-off switches are still needed. [youtube https://www.youtube.com/watch?v=3K8GNLoM7PM&w=380?rel=0] Here some important insights you should consider in planning for your bedroom shielding project. Also, why is T98Alpha the only shielding paint worth investing in? More parts in this series will come to this page soon. 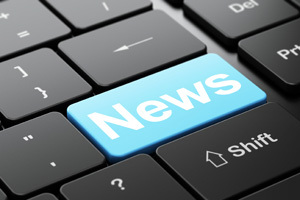 They can all be found in this article. Q&A: Can you shield just one wall with shielding paint? [youtube https://www.youtube.com/watch?v=jpPuCAweNO4&w=380?rel=0] Many people ring to buy just a small amount of shielding paint to shield one wall against for example a smart meter. There can be serious issues with this and some dangers should be clearly understood. T98 – Why it is the only shielding paint worth investing in? [youtube https://www.youtube.com/watch?v=DXgE9y7HpSs&w=380?rel=0] They may look the same, but shielding paint are not all the same. Even stronger, all but T98Alpha are even worth investing in. Find out why. Q&A: Should we measure the AIR or the BODY? [youtube https://www.youtube.com/watch?v=utprLrFVcSw&w=380?rel=0] Most EMF meters measure the AIR when it comes to especially HF radiation from phone towers and smart meters. We identified a long time ago that when health is the interest, and you want to know if the body is under stress… then you should measure the body. [youtube https://www.youtube.com/watch?v=uU3Se5hBUnU&w=380?rel=0] See what a water vein really is on Geovital’s unique training site in Austria where even skeptics manage to locate these natural excesses of radiation with their eyes closed. [youtube https://www.youtube.com/watch?v=Ns-OZTDik5A&w=380?rel=0] The dynamics of a fault line are easily explained and shown on the Geovital training site in Austria. [youtube https://www.youtube.com/watch?v=cw1RgPpqbxE&w=380?rel=0] Ground mixing can be measured with probes in the ground. Sulzberg is one big area of ground mixing. As it is often so big, finding an edge is rare. [youtube https://www.youtube.com/watch?v=iRGqAAaxyHo&w=380?rel=0] Sometimes our headquarters in the Austrian town of Sulzberg opens its doors to international students with its English courses, often held in the European summer. Here an account of the 2015 course and testimonials of those that attended. 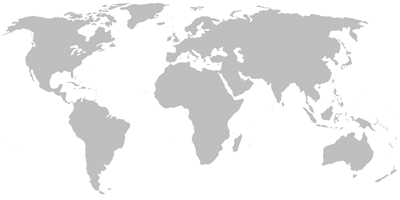 [youtube https://www.youtube.com/watch?v=WshLEDJFDuA&w=380?rel=0] Since 2015 GEOVITAL workshops are available in the UK. The town of Hastings converts into a training site for upcoming Geobiologist. [youtube https://www.youtube.com/watch?v=erc_Z3cQJng&w=380?rel=0] Once a year, GEOVITAL invites it’s Geobiologists to our annual Sommerfest to enjoy good food and swap ideas and experiences with other professionals. A room full of practical experience is a blessing to tap into. [youtube https://www.youtube.com/watch?v=FKLoM1hSF6g&w=380?rel=0] Adam Strong, director of STRONGBUILD investigates and incorporates GEOVITAL radiation protection in their new home design. [youtube https://www.youtube.com/watch?v=NoNh3wjxDBk&w=380?rel=0] The GPA Mesh from Geovital is now in place. To reduce radiation leaking from live wiring also significant sections of shielded cabling are used.